I have had a high success rate with healing hay fever naturally, using my own Energetic Wisdom methods. 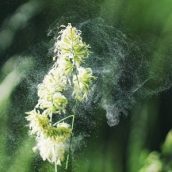 Healing hay fever naturally begins with understanding where it first originated. Before I explain more about this, let’s first look at the symptoms. 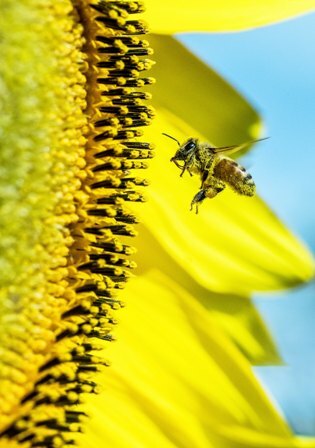 Hay fever, or allergic rhinitis, is an allergic reaction affecting the mucous membranes of the upper respiratory tracts and the eyes, most often characterised by nasal discharge, sneezing, and itchy, watery eyes. Hay fever is usually caused by an abnormal sensitivity to airborne pollen. And there is a tendency for hay fever to reoccur annually, mainly in spring. As I work in the realm of energy healing, I look for the root cause or trigger that instigated the hay fever in the first place. With hay fever, this usually points to an old emotional wound that occurred during the season when the hay fever first began. The person suffering from hay fever would have had a refusal to address the difficult experience that occurred at that time. And, unfortunately, as the emotions remained unresolved from that experience, the release of pollen every spring triggers the memory of the event and reopens the emotional wound. The cycle of hay fever, runny eyes and nose will continue until the brain is instructed that it can safely release the stored memory. All fluids in the body represent some sort of emotion. TESTIMONIAL from Anna & Andy, Mallorca. “Tony Mills is a complete wonder. I met him about a year ago and had no idea of his power to cure ailments so quickly. My partner and I had dreadful hay fever, to the point that we had to exit to the beach to get away from the flowering olive trees. Tony sorted us both that afternoon. We have since then had other powerful healing for other issues, which targeted the root cause of ailments very quickly. Incredible, I wish I had realised about this earlier. Highly recommended”. Why Suffer? Book Your Appointment Today! What are the emotions that trigger hay fever? A belief in persecution and guilt. Unresolved feelings of rage and aggression. A belief in deserving persecution. Very often, the buried stories behind hay fever, related to some kind of shame and guilt that the child was left with. This may have been due to the parents being caught up in their own ‘stories’. The person suffering from hay fever may have felt that showing any sign of emotions, such as sadness, were considered signs of weakness. This resulted in the grief being suppressed. There could also be a feeling of deserving to be rejected as he or she perceived themselves as rejected as a child. The human body is a complicated system and has an incredible filing system for all the many millions of emotions we experience during our lifetime. My work as a Soul Whisperer is to help communicate to you, what your soul needs you to know hear and release. After more than 30 years as a therapist, I have devised my own unique and efficient ways of achieving this. Allergies or hay fever are often resolved in just one appointment. In general, allergies will have some similar patterns to hay fever. This is because they are caused by an overreaction to a foreign substance. A trauma or stressful incident at the time the substance came initially into the energy field. A perceived lack of nurturing in one’s life. This can lead to lactose intolerance and an allergy to cat fur. Internal conflict. This may have been triggered by parents with opposing views, made worse by a child feeling guilty for the whole situation. Subsequently, leaving the child dependant on approval. Some food allergies can be the result of self-sabotaging good food as a mean of punishment. When there are dust and animal allergies there can be a fear of being easily attacked by others. It can be useful to check what happened, or who you were focused on within 24 hours before the allergy shows. What or who has left you feeling stifled and denying your own power and self-worth? I can help in person, or over the internet, and even by distance healing. Additionally, I also assist children. Read my Blog on Do You Have A Negative Entity Attachment?